I am a father of a 7 weeks old big size baby who weighs 5.3kg now and very much involved in taking care of him. A friend of mine from The New Age Parents Singapore introduced a bag of Goo.N diapers for sampling. 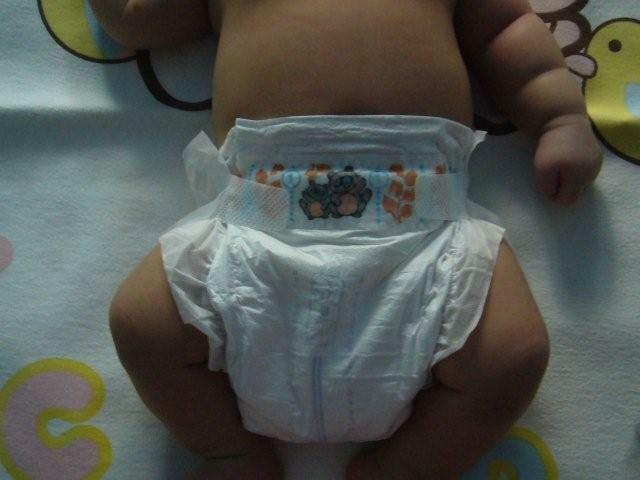 After trying it out on my baby, I have written my reviews on this baby diapers in this article. Firstly, the baby diaper has included an indicator on the outer surface of the diaper to help the parents to gauge how much the baby has urinated and when to change the diaper. Secondly, the “S” size of the Goo.N diaper is larger than the same size of most of the other brands which not too tight for my big size baby while wearing it. Thirdly, its great ability to prevent leakage of large poo and urine help the parents to avoid messy clean up when changing the diaper. Next, the material of the adjustable grip tape is durable and yet soft enough not to scratch my baby’s thigh. Last but not least, the diaper does not have a smell of the diaper’s material which other brands have. After the sampling of the Goo.N diapers brand’s “S” size online diapers on my baby, my view is that it is a good product in general.